View cart “Disney Princess Baby Soft Book – Belle” has been added to your cart. The perfect way to help your little one with a very big step. This sturdy, rock-solid step stool will help them feel secure stepping up to and sitting on the toilet, with thick rubber matting providing a non slip step surface, plus large rubber feet that hold firm regardless of where your child puts their feet. 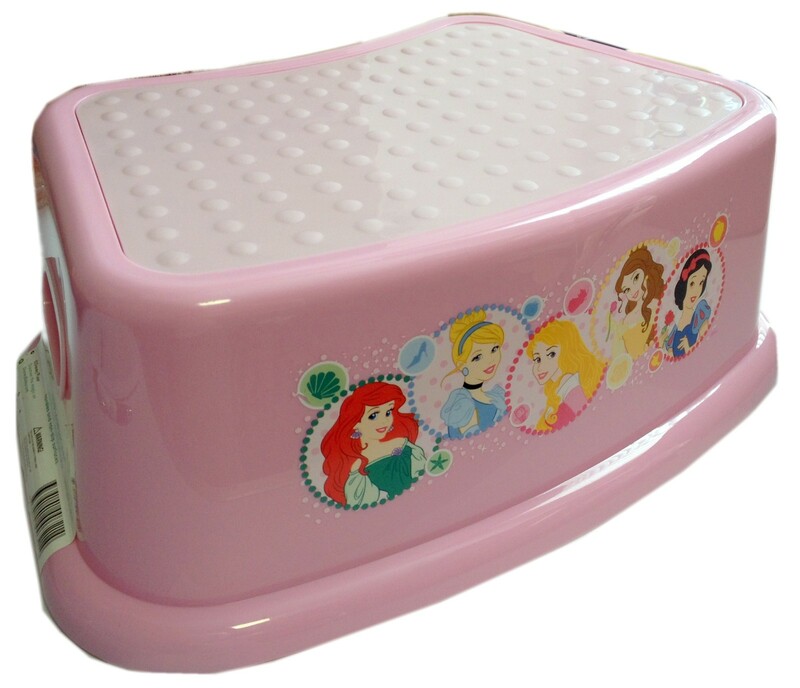 Whether it is in the bathroom, bedroom, or kitchen this bright and colourful Disney Princess Step Stool is sure to mix and match perfectly.